The majority of the satellites for the European Union’s own satellite navigation system programme — conceived in the 1990s as a European alternative to the United States, Russian, and Chinese satellite groups — have already been built in the United Kingdom, but the European Union has decided to block Britain from contributing to the project after Brexit. Prime Minister Theresa May had wanted to keep Britain in the EU’s Galileo project, just as she has also worked to keep the UK tied into most aspects of the EU under the guise of negotiating a Brexit “deal”, but the Union has decided to “push” the UK out of the programme and go it alone. This leaves the UK with no choice but to embark upon its own satellite system, Theresa May said Friday, and likely doing so in conjunction with the UK’s closest Commonwealth allies Canada, Australia, and New Zealand, reports the Daily Telegraph. The system is likely to also involve United States collaboration and will reportedly be compatible with GPS. Running an independent satellite system is considered important because the owners of national systems such as U.S. GPS, Russian Glosnas, or the EU’s Galileo are able to turn off access at will, which could leave non-controlling nations without crucial navigation systems for military and civil equipment during a crisis. A satellite under construction in a British factory in Glasgow, Scotland. The United Kingdom is a major global centre of satellite production. 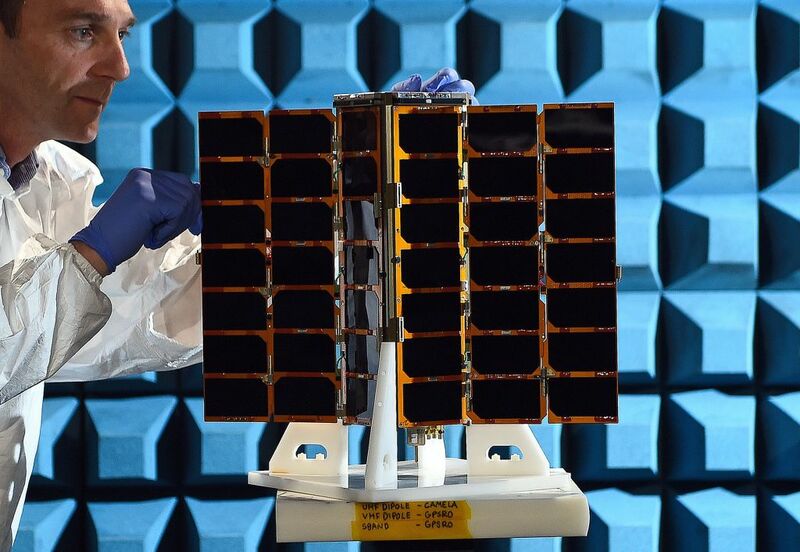 May had already trailed this as a potential outcome of the European Union’s continued obstinance over the shared satellite programme to which the United Kingdom has already contributed £1.2 billion. Despite his clear impression the European Union was working malevolently to punish Britain, Gyimah still called for Britain to reconsider leaving the European Union and remain within the increasingly abusive power bloc, however. These three Commonwealth nations that could join the project plus the UK and the U.S.A. make up the so-called Five Eyes, the deepest and most comprehensive intelligence-sharing group on earth. Dating back to the Second World War, the wide geographic spread of the nations allowed the group to develop into an unparalleled signals intelligence gathering effort, and the relationship between the key military allies remains close today. Next articleHMS Victory to receive Scottish Elm and Oak trees for £35m restoration project.